The title of this song, just about tells it all. 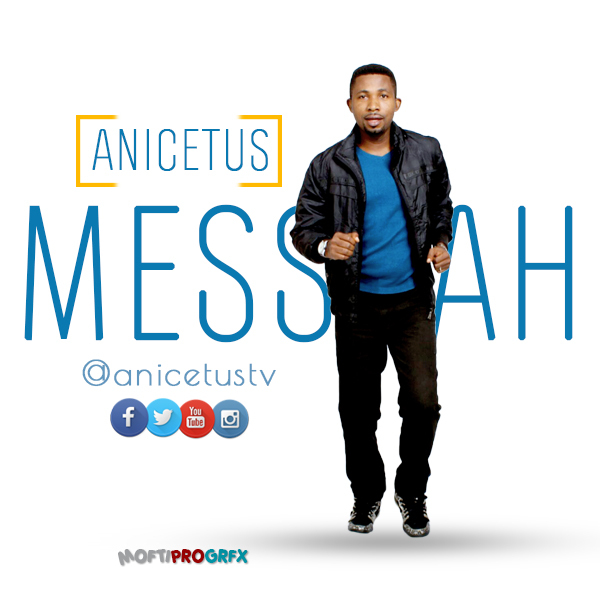 The Jesus lover and Gospel music talent Anicetus, who is steadily on the rise, and rapidly touching lives with his music, is here again with a new single this Easter, titled: MESSIAH! While his last realease, ‘Omnipresent God‘, is still so much on our lips, he surges further, giving us a piece that perfectly matches the yearnings of our hearts, this season. Anicetus’ goal is to minister Jesus and lead many to the worship of the One King. He goes beyond singing in this latest. Much more, he relishes the sacrifice of Jesus Christ, His deep love, and unfathomable grace for us all. It is no coincidence that this awesome piece, is coming out at such a time, where the world remembers the Messiah and his incomparable work for humanity. As we remember and celebrate Jesus, this Easter and beyond, this is a song, we will find meet to express out deepest thoughts and love for the Messiah. Listen and enjoy. Download and Share!!! !